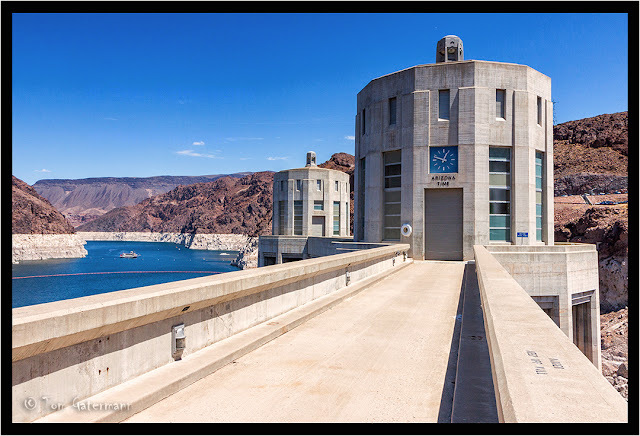 Intake towers at Hoover Dam, on the Arizona side. August 18, 2010. Hoover Dam, Lake Mead National Recreational Area.